Established Peckham Funeral Chapel and operated the business out of the basement of Peckham Furniture Store located on Main Street in downtown Caldwell, Idaho. 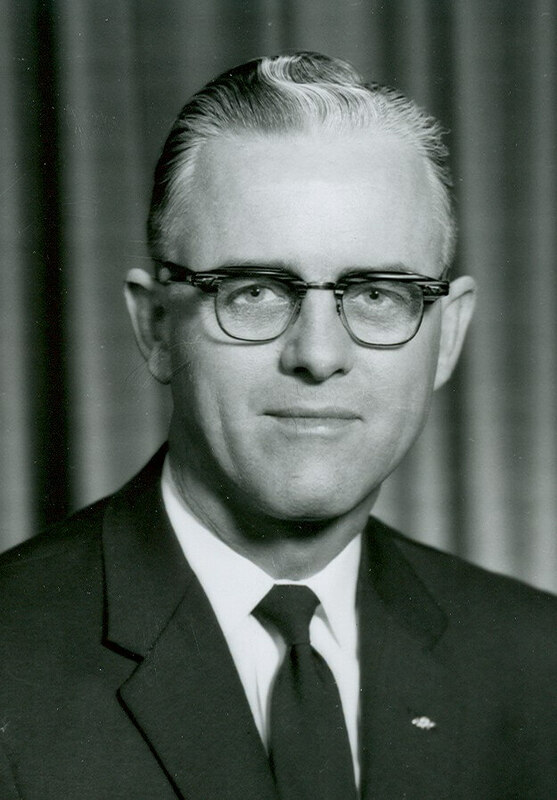 Mr. Peckham was the first president for the Idaho Funeral Service Association 1936-1937. Caldwell, Idaho's pioneer funeral home was completed- Peckham Funeral Chapel. Photo: First and only photo known to exist of the newly constructed Peckham Funeral Chapel. T.W. Dakan became a partner in the firm and the name was changed to Peckham-Dakan Funeral Chapel. 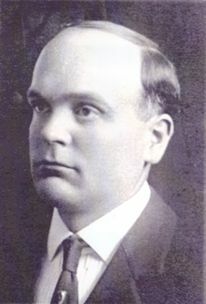 C.V. Peckham, pioneer Caldwell, Idaho funeral director, died December 23, 1955 at the age of 75 years. In 1957, a branch facility was built in Parma, Idaho to serve the west end of Canyon, Malheur, and Owyhee Counties. Photo: Photo of the newly constructed Parma Branch. James R. "Jim" Dakan became owner and the name was changed to Dakan Funeral Chapel. 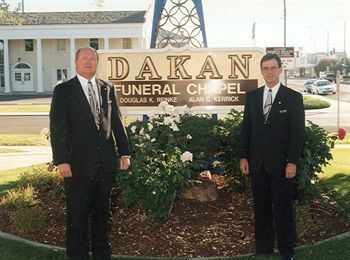 Dakan Funeral Chapel merged with Carriage Services and longtime Dakan employees Douglas K. Reinke and Alan C. Kerrick became shareholders. 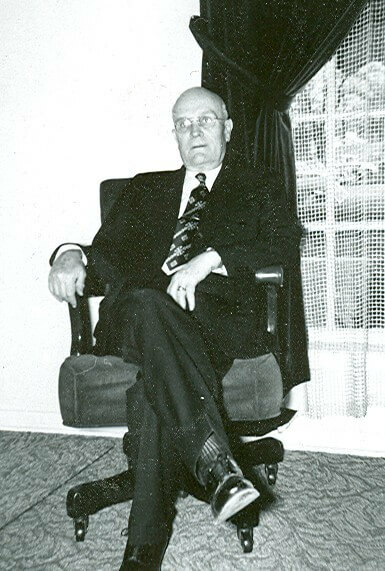 In 1911, C.V. Peckham, who owned and operated Peckham Furniture in Caldwell, Idaho, and Parma, Idaho, started Peckham Funeral Chapel. 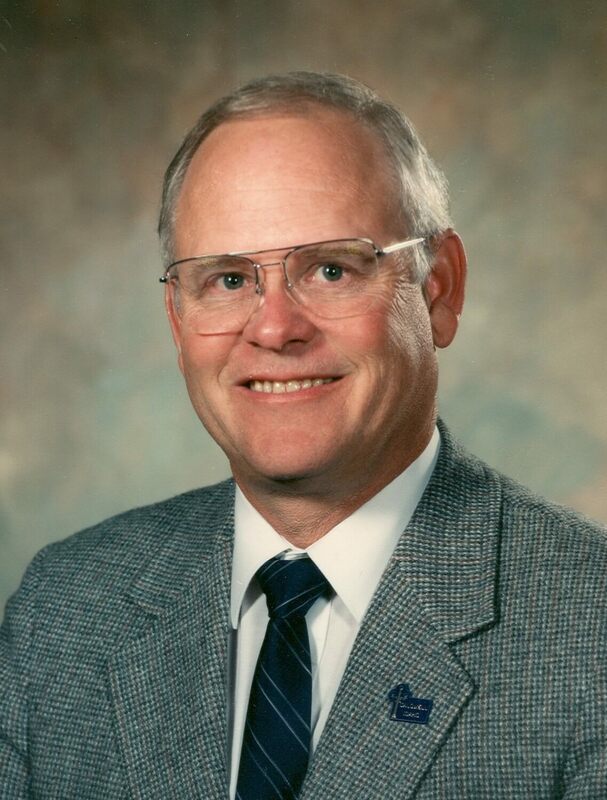 He started the funeral home with a goal to serve families in our communities in Canyon County and provide dignified and caring service to those families regardless of race, religion or financial means. In 1935, he took on a young associate, T. Wilbur Dakan. In 1937, the funeral home was moved out of the basement of the Peckham Furniture Store, and the new facility was constructed at its present location at the corner of Kimball and Dearborn in Caldwell. Newspaper accounts of the time heralded the funeral home as one of the finest funeral home facilities in the northwest, and it was a structure in which the community took a great deal of pride. Today it's not uncommon to hear families tell of their grandfather or father's experience in helping to construct the facility. Many fine craftsmen of Caldwell and Canyon County were involved in the construction. Mr. Dakan became a partner in Peckham Funeral Chapel in 1937, and the name of the funeral home changed to Peckham-Dakan Funeral Chapel. 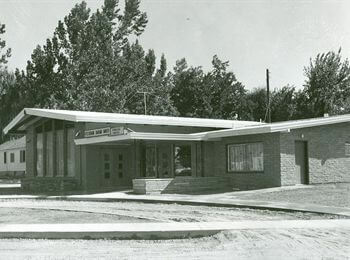 In 1957, a branch funeral home was built in Parma to serve the west end of Canyon County, Malheur and Owyhee counties. The Parma facility is located at the corner of 5th and Bates in Parma. In 1964, James R. "Jim" Dakan, son of T. Wilbur Dakan, joined the firm. In 1972, the funeral home was sold to Jim and the name of the funeral home became Dakan Funeral Chapel, even though many people to this day still refer to our funeral home as Peckham's or Peckham-Dakan Chapel. In November 1996, Dakan Funeral Chapel merged with Carriage Services, Inc. Longtime Dakan employees Douglas K. Reinke and Alan C. Kerrick become shareholders. Carriage Services is, by most standards in our profession, a small company, consisting of 135 funeral homes in 28 states and 29 cemeteries in 12 states at this writing. 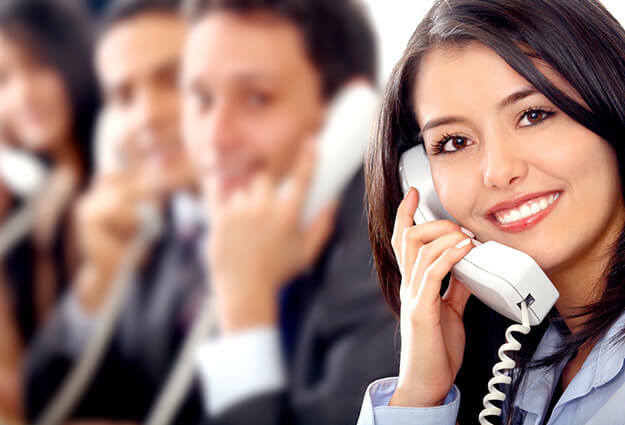 It is a company made up of funeral homes that are considered the "best of the best." Our staff and employees all have a substantial ownership interest in our funeral home and our company. Our commitment to our communities and families we serve has never been greater. The traditions and commitments begun so long ago in the basement of a furniture store are very much alive today. We are still members of our community, we live here, we worship here, our children attend schools here, we sponsor youth sports, and we are members of civic clubs and organizations.